When it comes to adult beverages, I’m a fairly simple (if basic) girl. I like whiskey or bourbon with Coke or ginger ale, vodka with anything sweet, non fussy margaritas, and those drinks that most bars call “martinis” but are anything but. 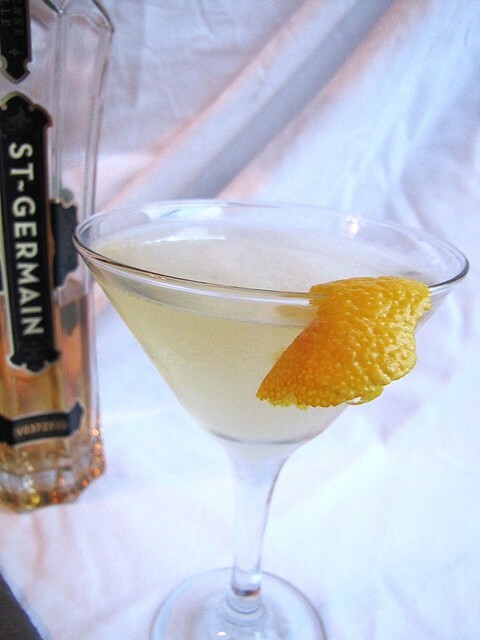 The past couple of years, however, I’ve been introduced to (and really enjoy) St. Germain, a sweet and slightly floral elderflower liquor that has been popping up in bars and trendy speakeasies all over the place. 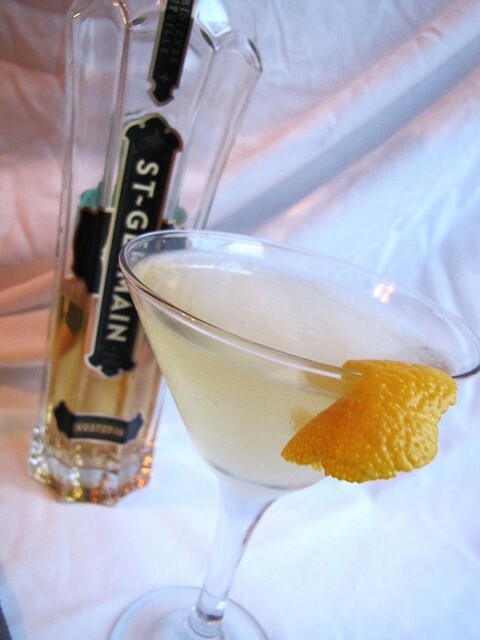 I’ve found the simplest yet most enjoyable way to imbibe St. G is with a French 77. It’s light and fresh, and adds just a touch of fanciness to your Friday night. Fill a martini glass with ice to chill and set aside(optional). Fill a cocktail shaker with ice, add St. Germain and lemon juice and shake. Remove ice from glass and pour St. G. and lemon mixture. Pour champagne into glass and add lemon twist. Chin chin, darlings. Enjoy the weekend.